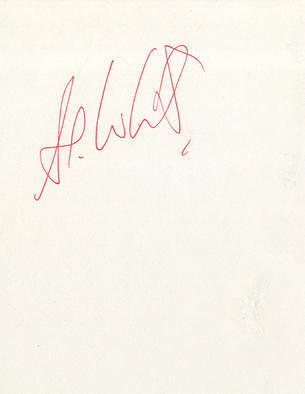 This is an In Person signed white card 5.75" x 4" by the late British Journalist and Broadcaster. Alan Donald Whicker CBE (2 August 1921 - 12 July 2013) was a British journalist and broadcaster. His career spanned almost 60 years, during which he presented the documentary television programme Whicker's World for over 30 years. He was made a Commander of the Order of the British Empire (CBE) in 2005 for services to broadcasting.